Civil engineers design, build, and maintain the foundation for our modern society – our roads and bridges, drinking water and energy systems, sea ports and airports, the infrastructure for a cleaner environment and more. 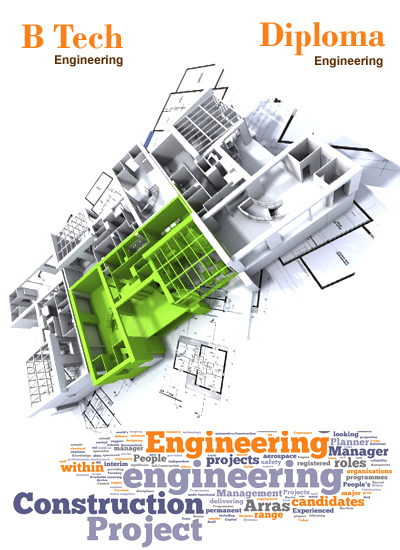 There are excellent job opportunities in civil engineering both in public and private sectors. The government departments like public health, irrigation or public works offer ample job opportunities to civil engineering graduates. According to experts, as the Infrastructure Sector is growing rapidly there is a high demand for civil engineers in our country. Hundreds of civil engineers are getting opportunities not only in India but also in Canada, Australia and other countries for better career prospects. According to an estimate, over 50,000 new jobs in the civil engineering sector are coming up every year across the country in the private sector.